Thanks for coming to Edufactory 2012! Sooo, ANU security made a mistake and allocated us the wrong building. Whoops. The conference is still taking place on Kingsley Street, but will be in the College of Business and Economics building (across the road from the HW Arndt building). 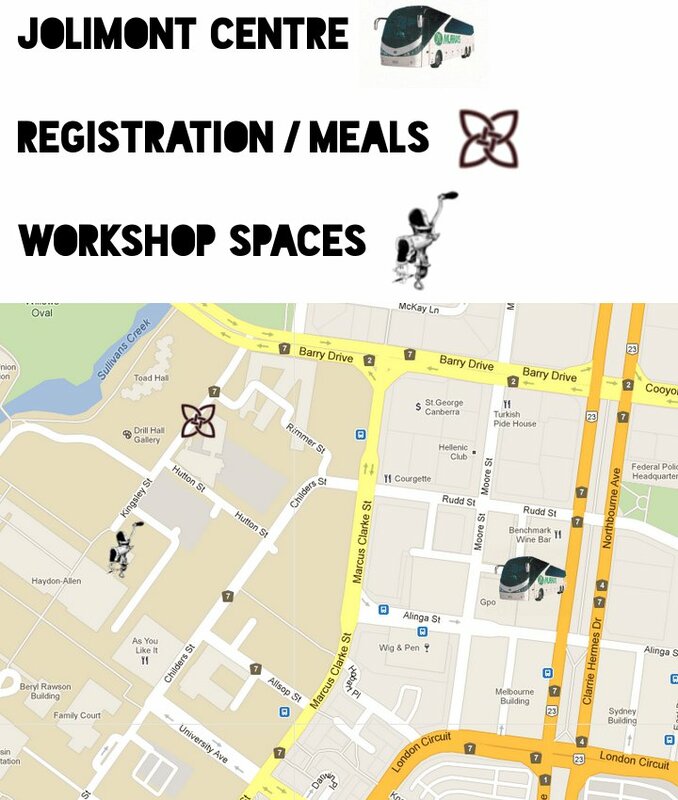 Hey folks, some people have asked about the specific locations where EduFactory registration, meals and workshops will be taking place. To see a map indicating each, click here. The Jolimont Centre (65 Northborne Ave.) is where buses from interstate will drop you off. You can head to rego at the Food Co-op (3 Kingsley St.) on Friday night/Saturday morning to pick up a hardcopy of the programme and get your bearings. This is also where we will be eating lunch and dinner each day of the conference. 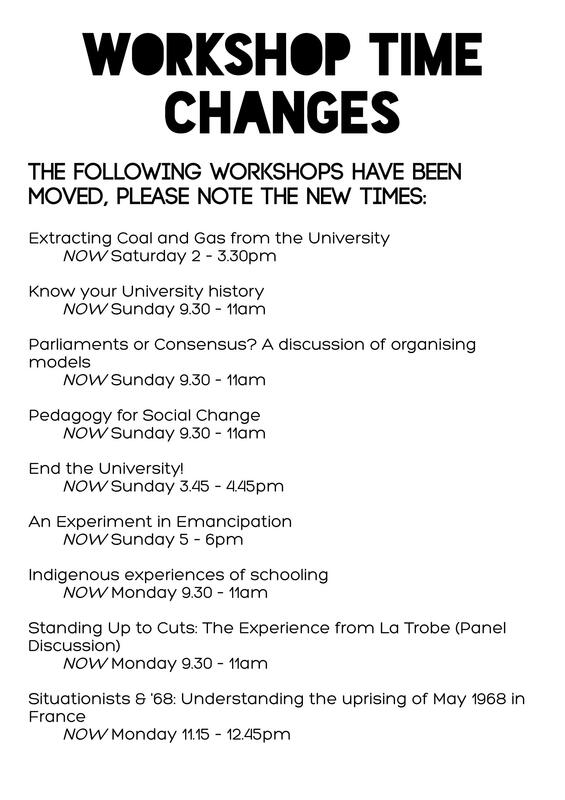 Workshops will be taking place in the HW Arndt building at ANU. a) Contact folk who live in Canberra and ask them if you can make use of some floor/couch/backyard tent space for the weekend. To this end, the facebook event page could act as a useful accommodation message board, as a number of locals are attending. b) Hit up the youth hostel, or some other relatively cheap accommodation. If you opt for the latter, it’d be a good idea to book now as Floriade has begun and will probably soak up supply of cheap rooms. If for any reason (i.e. all affordable accommodation is booked out, or you have special requirements) you need a hand finding accommodation, don’t hesitate to email occupytheuni@gmail.com and we can hook you up with a place to stay. 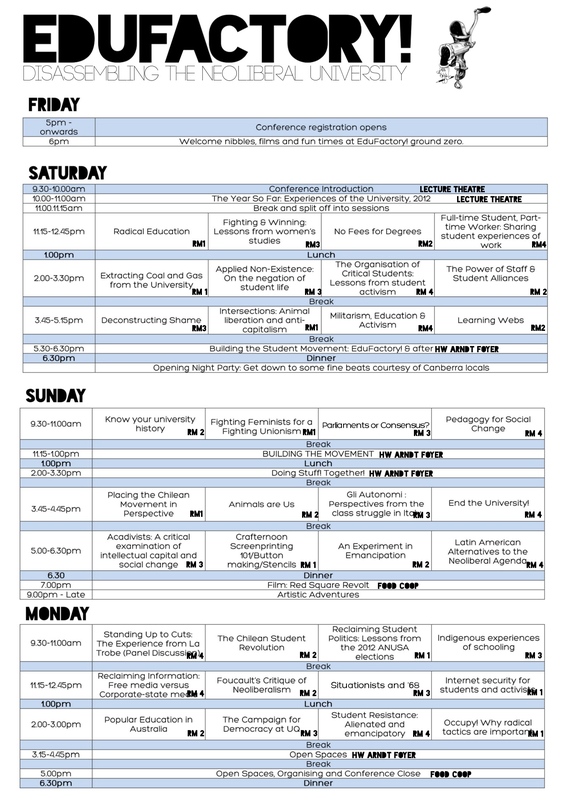 Thanks for all your great workshop submissions – EduFactory is going to be jam packed full of radical ideas, education and organising! The programme is in the process of being finalised, and will be up on the blog by the end of the week.